SPECIAL DEAL - Usually 49.99, today just 19.99 - Save £30! 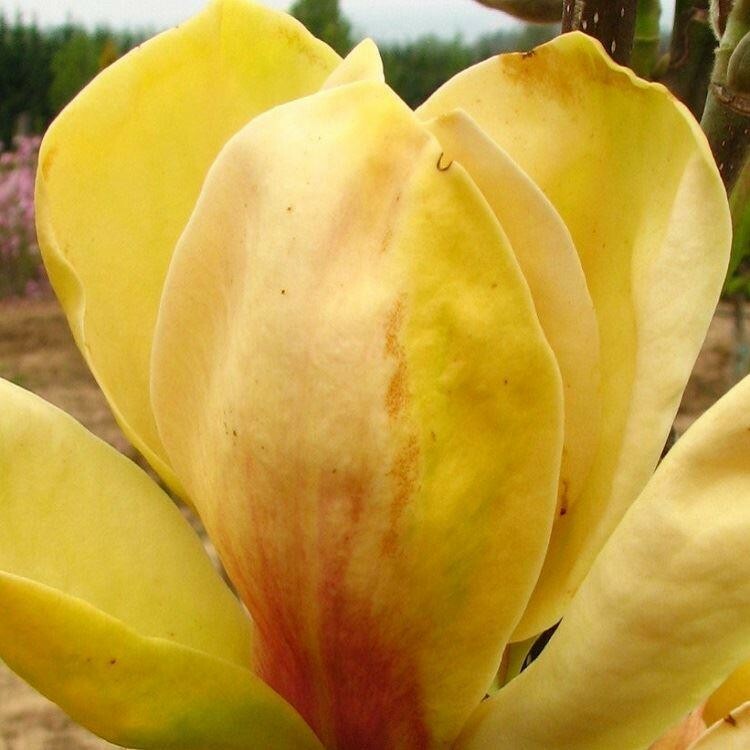 Magnolia Sunsation is a brand new variety originally bred in the USA, it's rare and hard to come by throughout Europe, let alone the UK, but we have some good quality stock available. 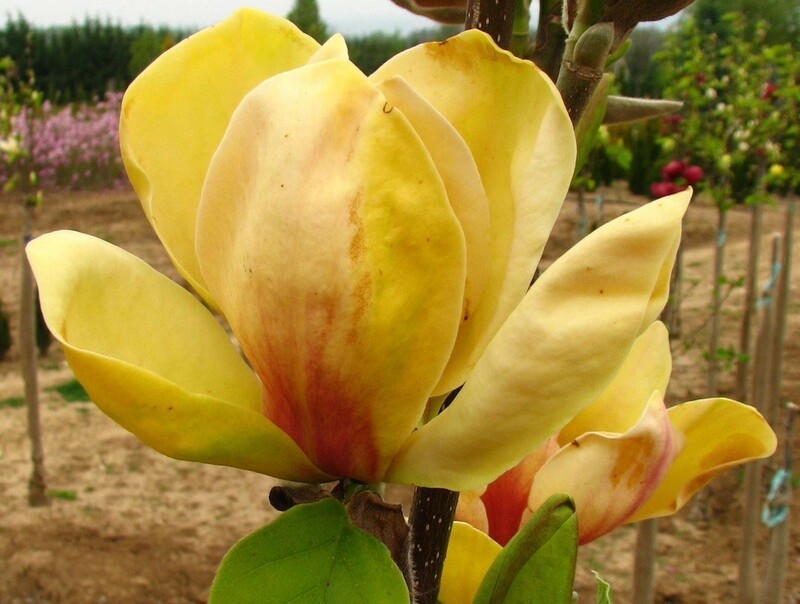 Later flowering than many Magnolia varieties, it generally starts in late April and continues right up to early summer. 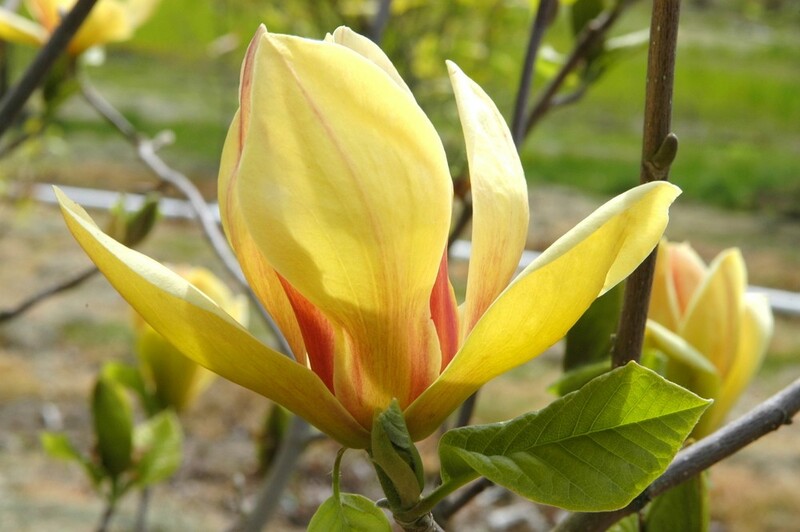 This blooming period comes as a bonus in gardens that are prone to late frosts as it means the flowers are not affected by any late cold snaps in spring. 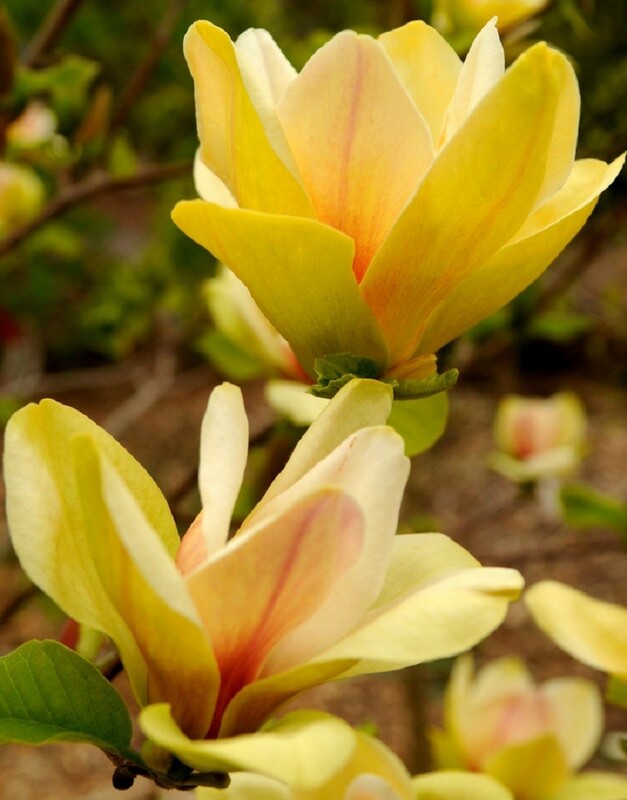 Glorious flowers, large in size - 6-7inches, are carried on robust compact growing shrubs or small trees, generally growing 2-3 metres tall over time. Unique in appearance, Sunsation's flowers appear as golden goblets, blushed rosy pink at the base, providing a bright and unusual appearance. These star over the plants for several weeks before making way for the foliage. 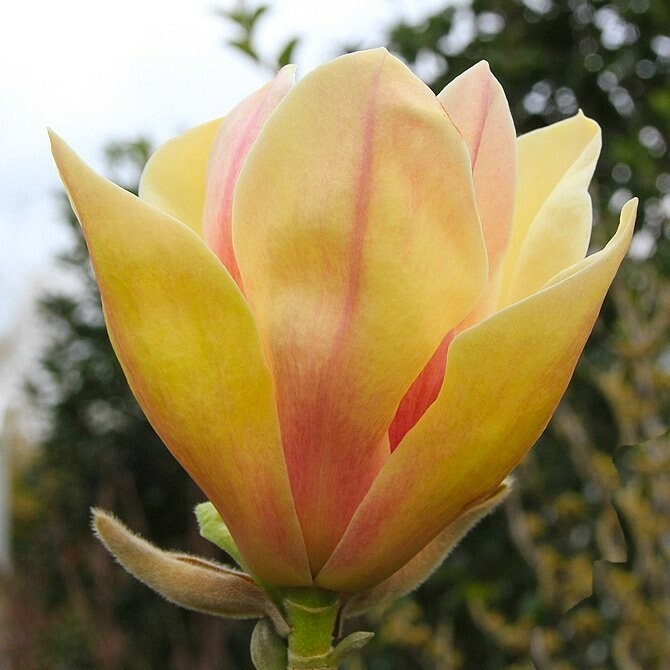 A truly magnificent new variety for it's abundance of flowering combined with the warm and unusual colouration. Supplied in approx. 5 litre containers.